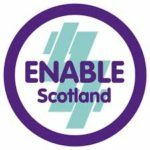 At Enquire’s annual conference on 16th March 2017, Jan Savage from Enable Scotland spoke about IncludED in the Main?! This important ‘national conversation’ details the reality of educational experiences for young people in Scotland who have learning disabilities. #IncludED in the Main?! was informed by over 800 responses. It identifies 22 recommendations or steps on the journey to inclusion. The report issues a challenge to the Scottish Government to listen and to act to make truly inclusive education a reality. Read #IncludED in the Main?! here.